This is looking fabulous. Very excited for the big furry reveal! It looks SO GREAT! Like Peter, I can't wait for the big furry reveal too! 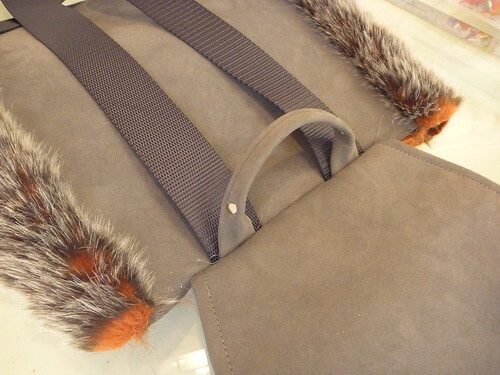 This bag is going to be fantastic. I look forward to seeing the finished creation! I've enjoyed watching your progress. I have made this pattern recently myself. 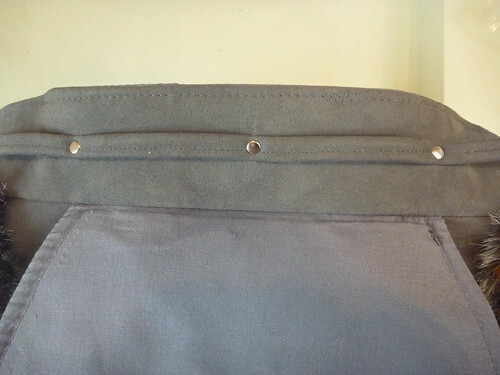 Your inner lining & pockets are great. Great job! 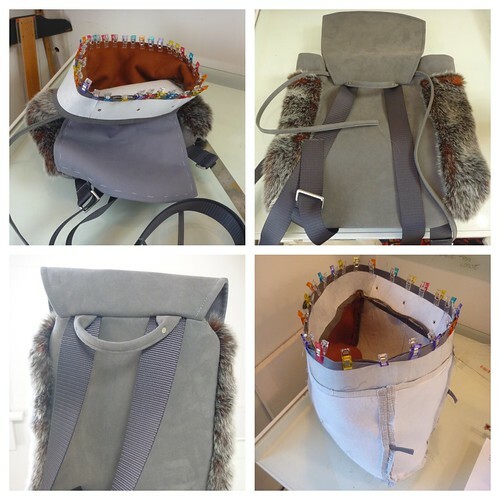 I'm looking forward to seeing the finished backpack! Your aesthetic and technical skills are inspiring. Can't wait to see the reveal. 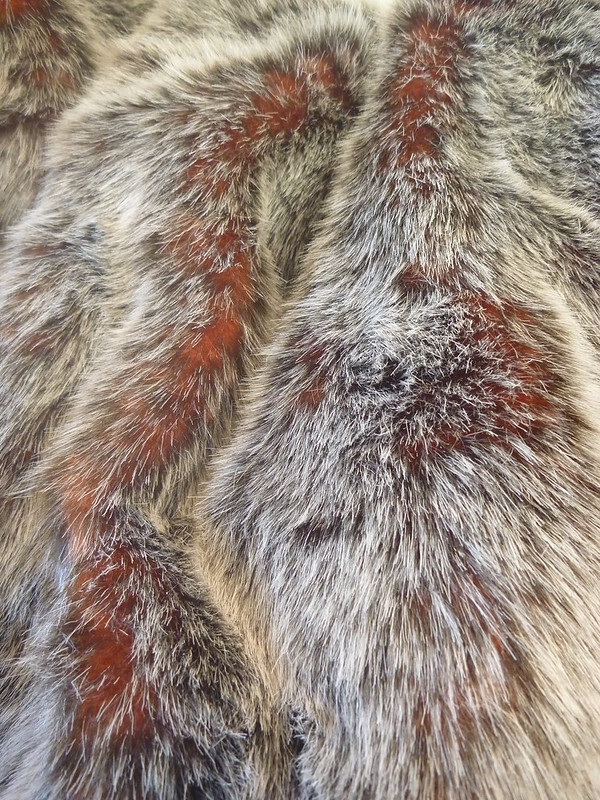 I'm auditioning some faux fur and leather right now for my own creation. Thanks for the nudge! 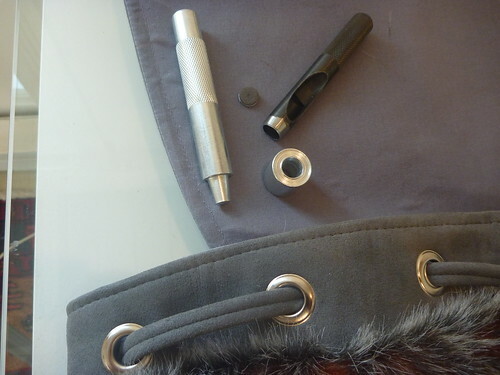 Grommets, fur, rivets and suede, oh, my! This is amazing. 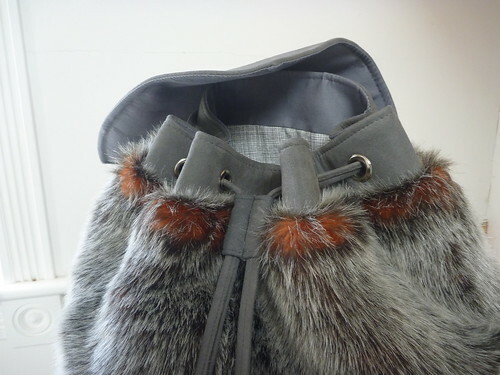 I really want to make a fur bag now. Thanks for the inspiration. This is just too fabulous. I'm in awe of your skill and design aesthetic! 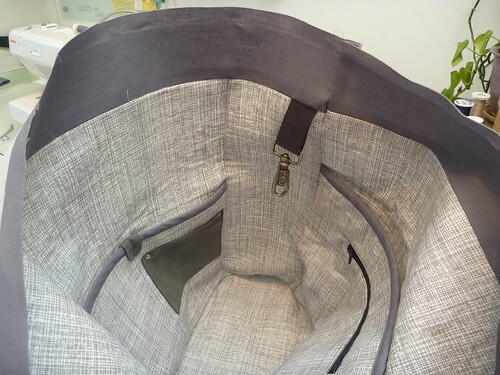 Very impressive bag and workmanship. Looking forward to the big faux fur reveal.